Group therapy provides guests with a whole different set of benefits versus individual therapy. 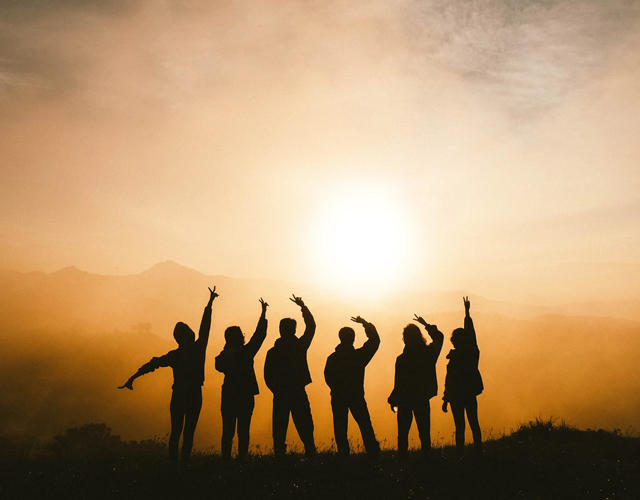 Sharing and listening in a group setting can organically create a support network between peers whose situations and experiences may be similar. Group is particularly effective when guests also attend individual sessions, held regularly at Royal Life Centers at Sound. This allows guests to explore, in more detail, thoughts and feelings they may have in group, but that they may not feel fully comfortable sharing in a group setting. Guests who are more comfortable sharing in a group setting may find that engaging with others helps them to feel less alone in whatever they might be dealing with. This can serve as encouragement and help guests to re-build trust skills, essential to forming and maintaining lasting, healthy relationships. Having a support network is an essential part of recovery, particularly early recovery. This is part of why we place special emphasis on the bonding power of group therapy. At RLC at Sound, group meets six hours per day, six days per week during PHP. During the first phase of IOP, group meets three hours per day, five days per week; in the second phase of IOP, group meets three hours per day, three days per week. In a typical hour-long session, one of our lead therapists will decide on the meeting topic— such as relapse prevention, self-worth, goal-setting, self-discovery, or processing feelings and emotions— and determine whether the meeting will be structured as an educational session or as more of an informal discussion. Therapists then serve as group facilitators by asking questions and encouraging participation in a welcoming, judgment-free space. Guests may choose to participate as much or as little as they feel comfortable, but we hope that they will be open with their peers to get the most out of the group setting. To learn more about our holistic therapy program, or any of our other programs, at Royal Life Centers at Sound, please reach out to us at (877)-RECOVERY. Our admissions team is available 24/7 to answer your questions.